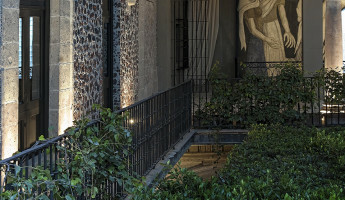 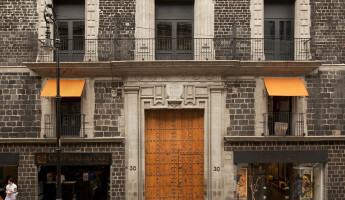 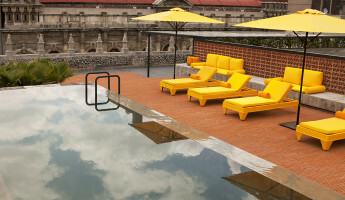 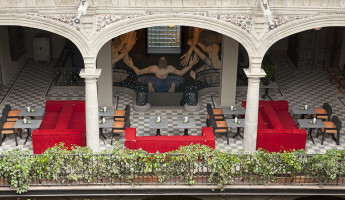 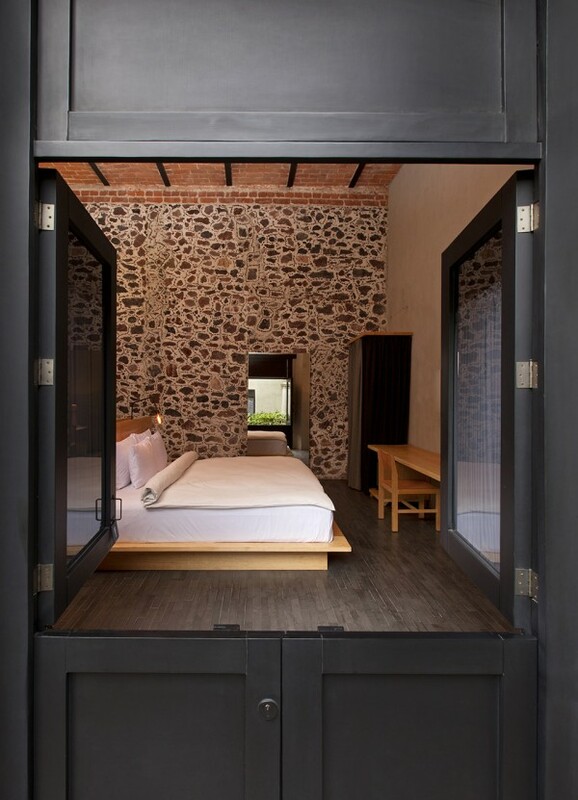 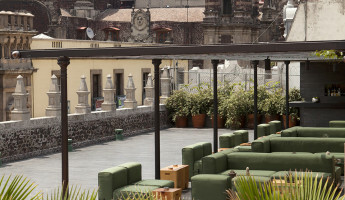 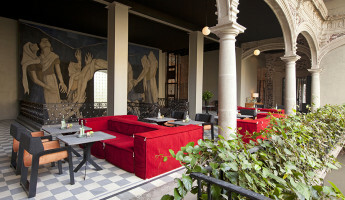 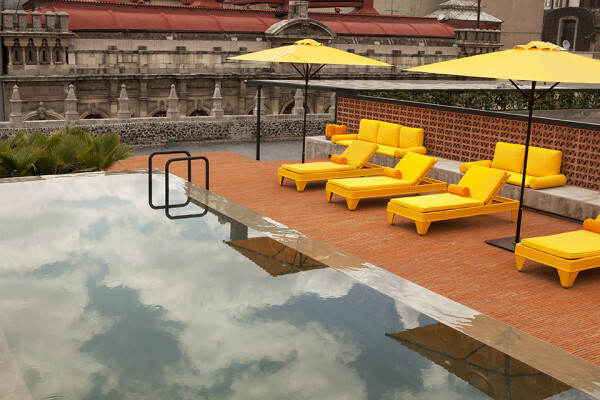 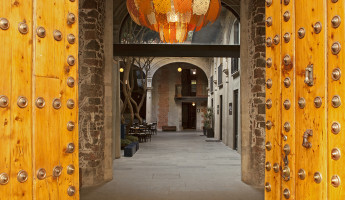 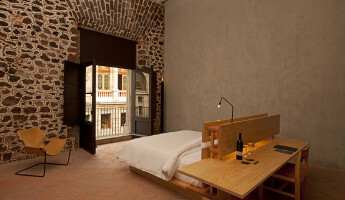 A 17th-century colonial palace in downtown Mexico City has been fashioned into a stunning boutique hotel, the DOWNTOWN Mexico hotel. 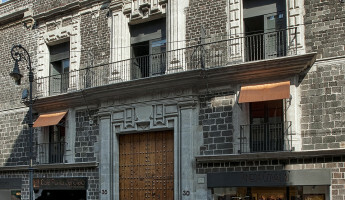 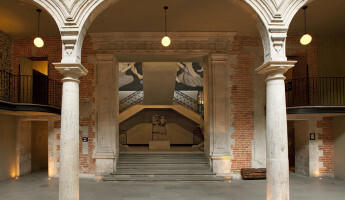 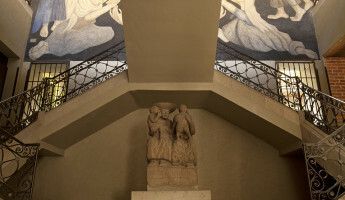 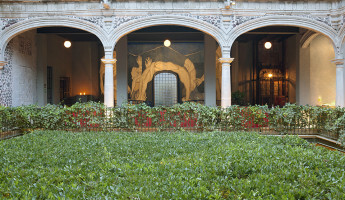 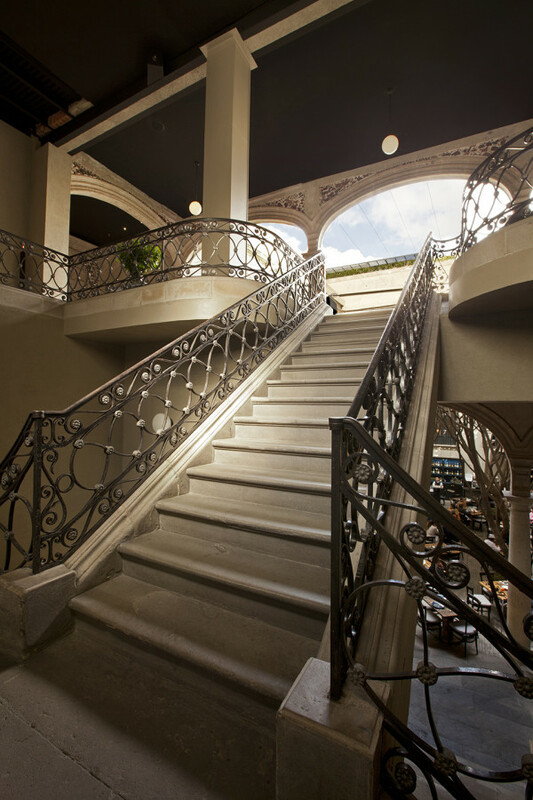 The colonial era “Palacio de los Condes de Miravalle” now houses 17 rooms and a collection of shared guest spaces that face the Centro Histórico neighborhood, an UNESCO World Heritage Site. 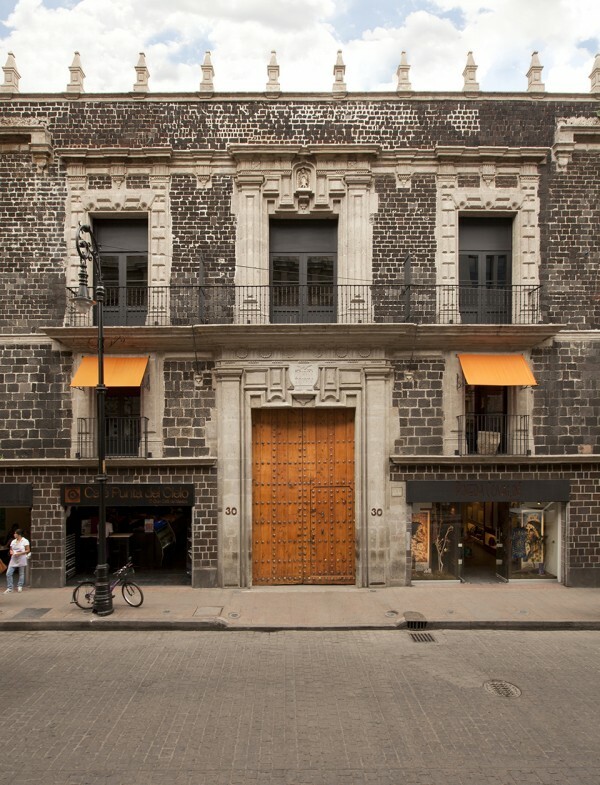 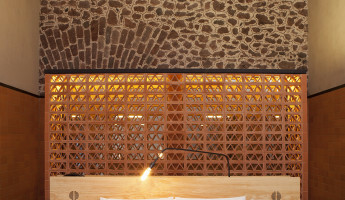 It is a masterwork of restored design, where existing colonial elements are merged with works of ethnic culture and contemporary design elements. 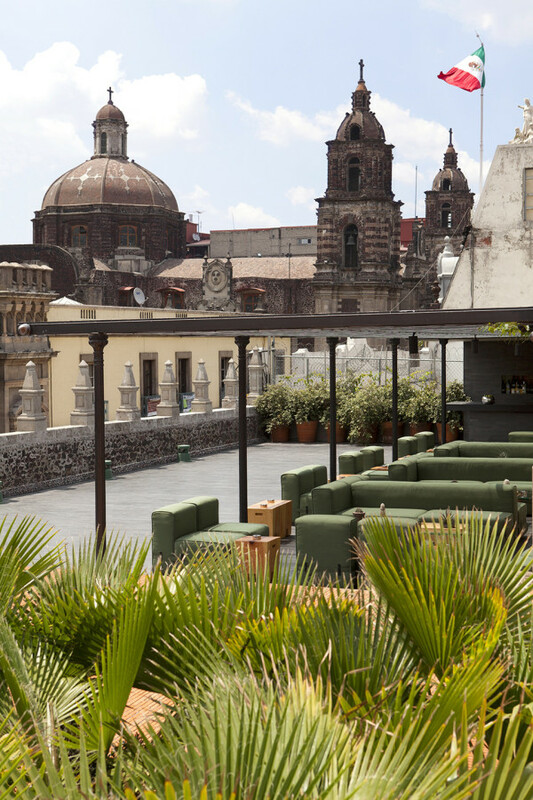 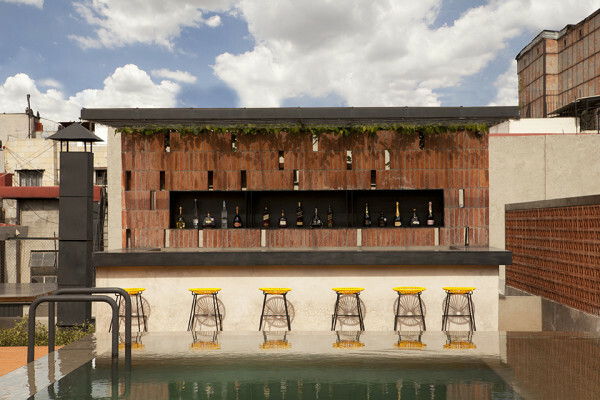 In DOWNTOWN, old Mexico meets modern amenity for the creative culture traveler. 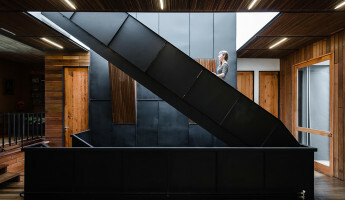 The interior guest spaces, from the rooms to the bottom level lounge, have a selective sparsity to them which emphasizes the origin of the space. 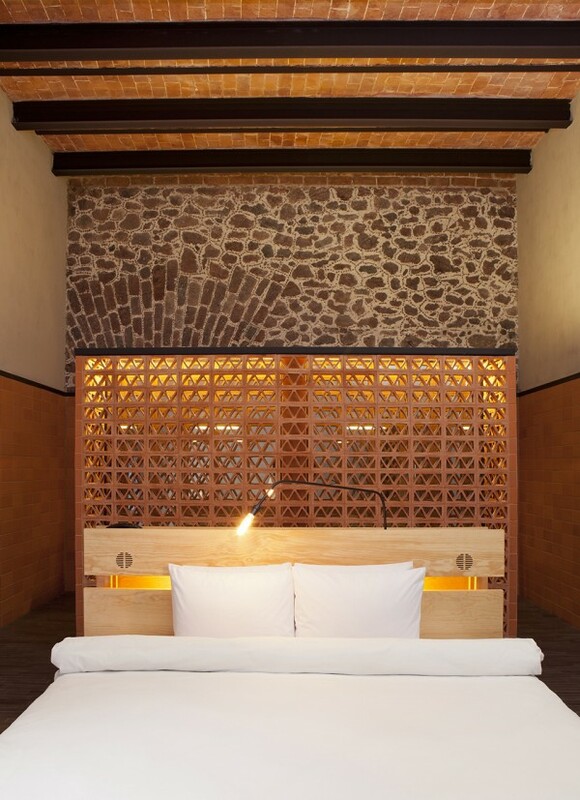 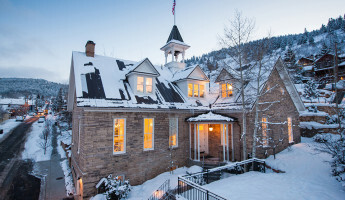 The aged brick from the colonial palace and the high ceilings above yield spaces filled with character, and the design eschews clutter to maintain that character. 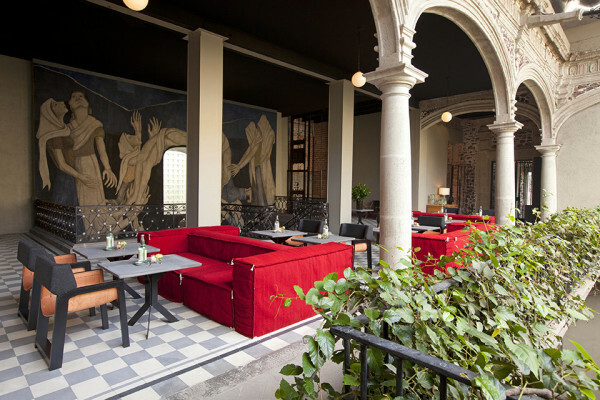 Seating areas in lounges and dining places are comfortably furnished with custom pieces, providing opportunities for both intimacy and community. 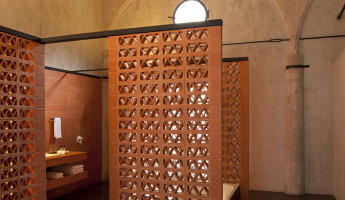 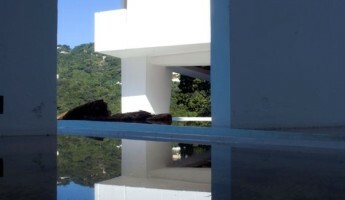 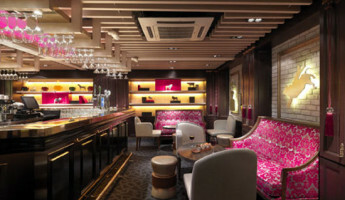 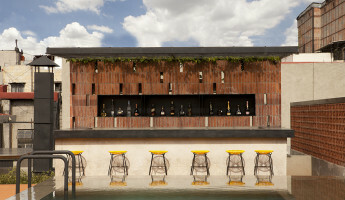 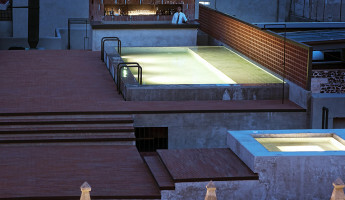 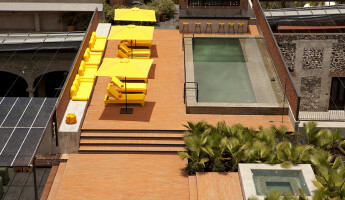 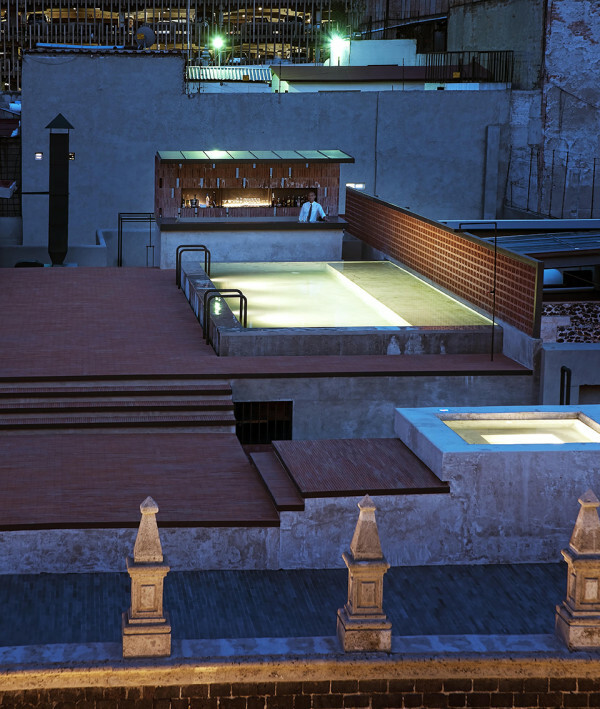 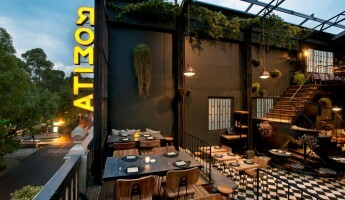 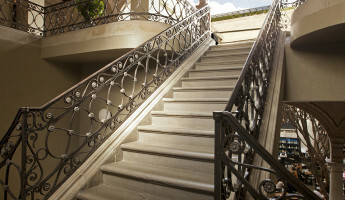 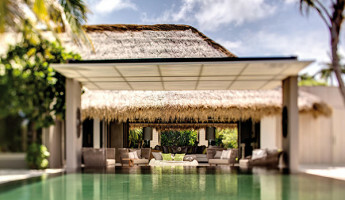 The stand-out space of the hotel, however, is the rooftop terrace above the guest facilities. 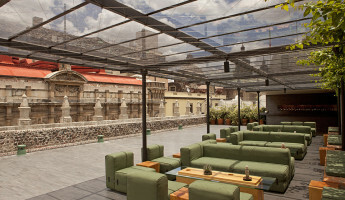 It features a bar, lounge area, swimming pool and more, all with a sweeping view of the old colonial spires, domes and steeples. 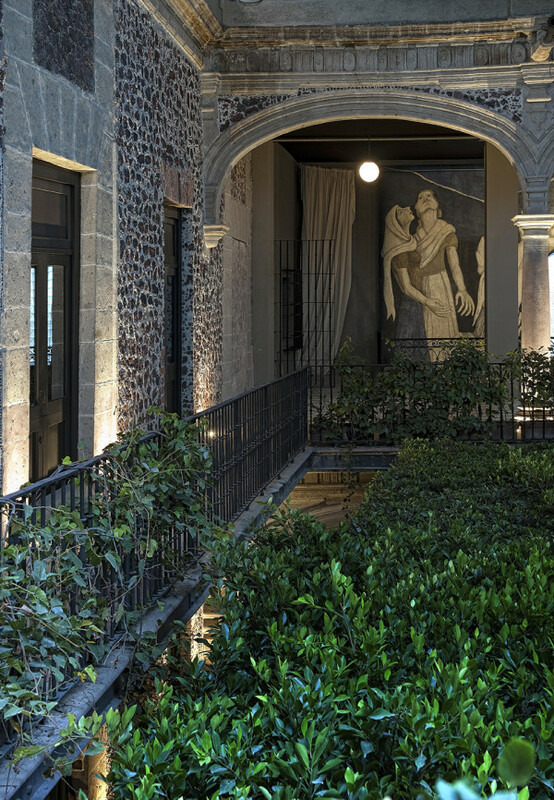 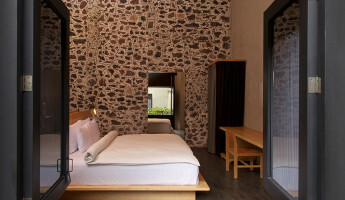 If you’re traveling to Mexico City to experience the history of North America’s most populous city, this may be the ideal retreat. 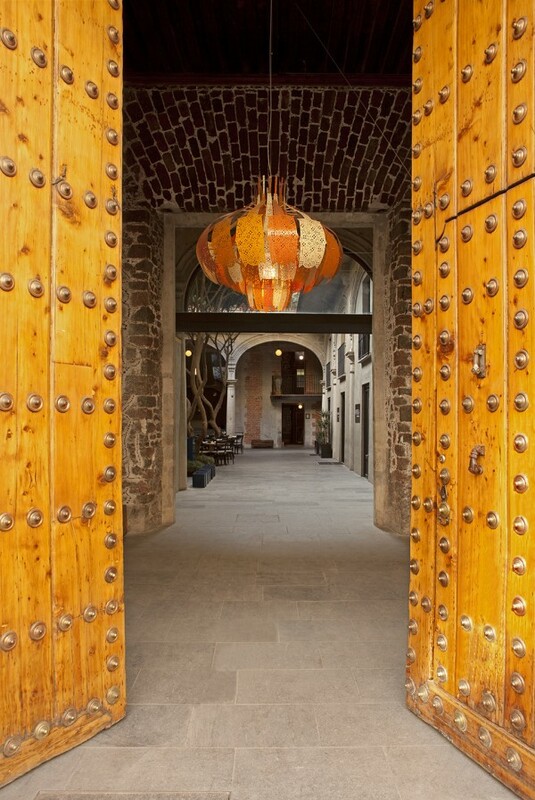 Its location in an UNESCO World Heritage Site and its 17th-century building place it directly within the city’s history itself. 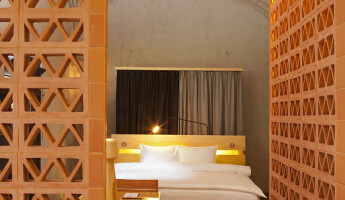 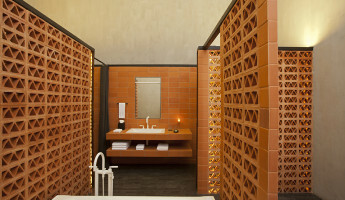 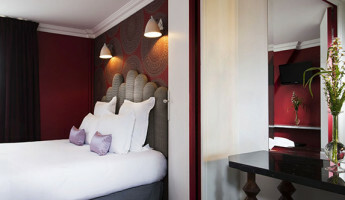 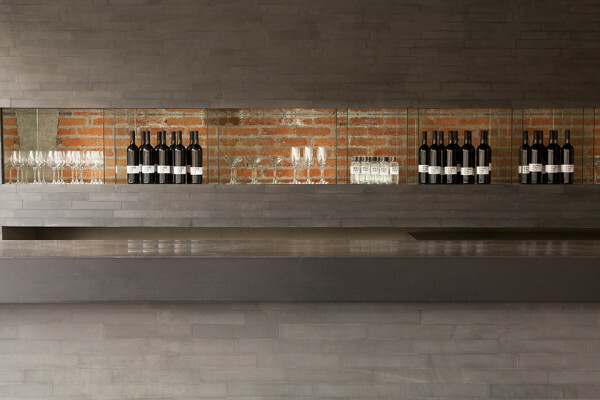 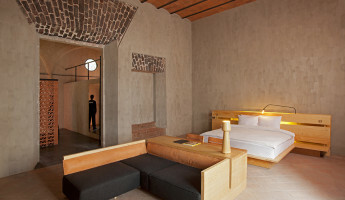 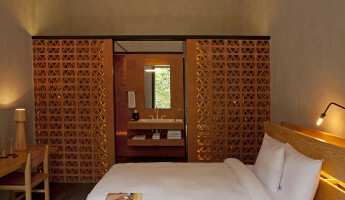 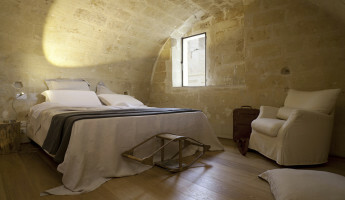 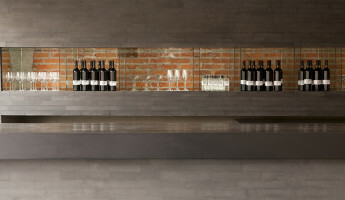 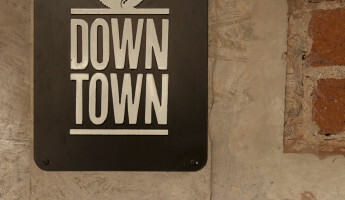 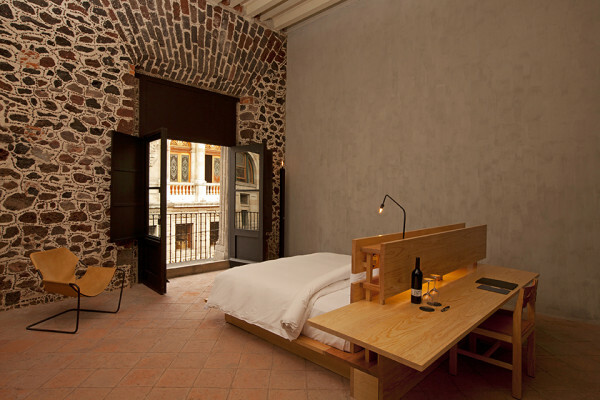 Accommodations start at $195 a night, and bookings are available through Design Hotels™ or directly on the DOWNTOWN website.